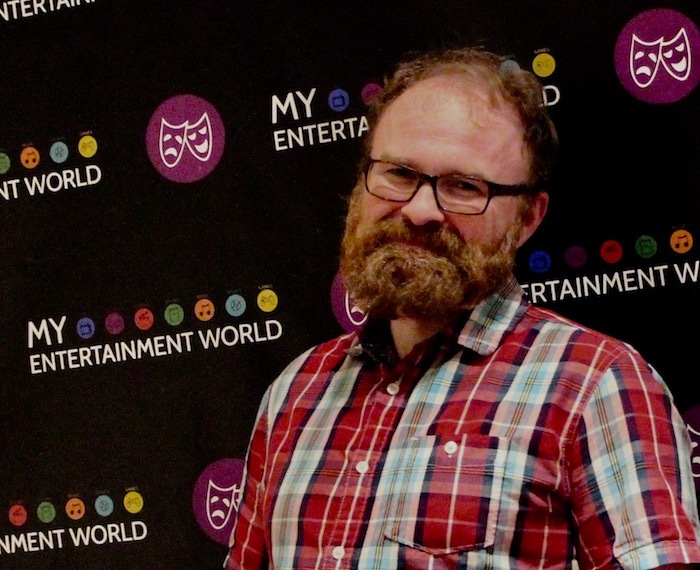 Playwright Steven Elliott Jackson’s Outstanding New Work-nominated play The Seat Next to the King was the big runaway hit of the 2017 Toronto Fringe Festival. 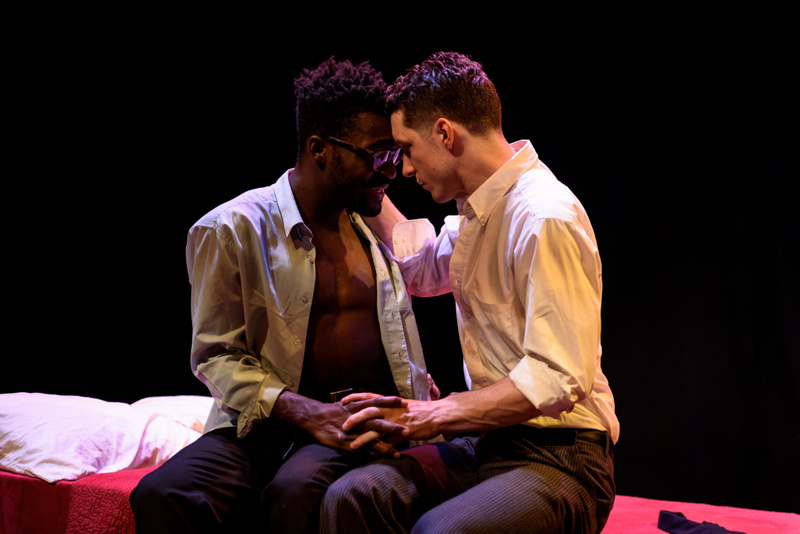 The intimate two-hander about two men navigating an illegal romance in 1960’s Washington, DC won the Fringe’s New Play Contest to earn a sport in the festival, sold out most of its performances, and went on to a remount at the Theatre Centre quickly after closing. I was in high school. Grade 12. I came from a small town, so there was no theatre. If I wanted to do theatre, I’d have to get my parents to drive me back home every single day after school, and it was never gonna happen. A 20-minute drive every day. So my first experience was really my English class. We had to write a monologue based on a real person. I really wanted Schindler’s List that year, but I couldn’t find it. So I ended up finding this book called A Father, A Son, and the CIA, and I thought it was going to be a really crappy book. And it wasn’t. It ended up being a really cool book. So I ended up doing this monologue I’d written in front of my class, where I played the father’s son talking to a psychiatrist. He was a psychiatrist too, so there was this weird element to it. I remember when I finished it, I looked at the back of the classroom, and my English teacher was crying. I was like, “Whoa, what did I just do?” It didn’t dawn on me what had happened. It wasn’t until a few years later when I actually started to write an actual play when I was like, “Oh, that experience”. That was the tester ground, and the weird place to start. [laughs] I remember listening and going, “That’s okay. That’s okay.” Then I see her start crying, and I go, “What did I do different than everyone else did?” and I realized I just cared way more about the project than a lot of the kids did. There are a lot of situations like that too, in high school, where I just cared so much about what was happening that I could see no one else did. What inspired you to write The Seat Next to the King? I had heard about Bayard Rustin probably about 20 years before I started to write this play. I thought he was a fascinating character, but at that point in time, I wasn’t really sure what I was writing. I was mostly writing fiction. Then a few days before I started to actually write the play, I discovered Walter Jenkins. If you’ve seen the play, it’s about a white man who meets a black man in a washroom in Washington DC Park. And it dawned on me what I’d seen, what I’d heard of Walter’s story, is “Wow, isn’t that fascinating that the two most powerful men in America had these gay or questioning men sitting right next to them?” That’s where the title came, almost automatically, and I realized, where could I have these two men have that conversation? They both had this mutual experience being caught in washrooms, or being caught in provocative places. Then the minute that happened, it’s like [spilling gesture]. It came out in four days. I wrote a scene a night in McDonalds at Pape and Cosburn, because it was the one place that was open after 8. I’d go there, and I’d write the scene, and I’d write just a few lines of the next scene, then I’d go back and finish it up. Then I’d go back and finish the next scene, and then the next scene. Four nights later, there was this play. The first version we did in the Fringe was not that different from the original copy. I didn’t do many changes. And that’s rare, but it was one of those magical moments. Did you plot it out and make an outline, or did it just come? It just came. When I write a character, I just start to live that character, and thinking about what that character’s saying [at] every moment. Since there’s only two characters, it was so easy to live in the two of them. It was an extension of things that were happening that I wasn’t even noticing that much, and then it took on a new resonance when we actually produced it. But it came out full force. Then Tanisha [Taitt], who ended up being my director, who I’d never met before, called me up afterwards and said, “Hey. I would really love to direct this. I was on the jury. I would really want to direct this.” It was a very kismet thing that happened throughout the entire process. Have you talked to her about exactly what it was that really made her want to get involved? She had read a lot of plays. For the Fringe contest, I think there’s 70 plays overall that are entered, and she had read about 16. I remember her telling me, “I got through my 16”, and mine was not in her original 16. Mine made it through someone else in the jury first. So I got very lucky in the fact. We talked about the idea, about fate and stuff like that, because if it had never gotten through someone else, she would never have seen it, and it would never have happened. How crazy is that? Like one other person was standing in between. I remember our first conversation. She just started to talk about the play, and how she read five pages in, and she was like, “What the heck is going on? I don’t get what’s going on.” And then when it finally hits about seven pages in, she goes, “Oh my God.” That was the moment for her. She saw something going on with these two men, and the other thing she saw was a very different type of story when a black character was fully in control of the scene. I think she fell in love with that a little bit, but also, it’s about the relationship. She just started to realize that it went from being this one solitary little thing to being much bigger, and encompassing both their lives so much. That’s what I think she caught on to. I remember her saying the first five pages. She was so hooked from the very first line, and she was like, “That rarely happens for a play.” Sometimes you can just start on the wrong line, and she said, “No, you just start exactly on the right line”. If it had been in a drawer for two years, what made you want to pull it out now for the new play contest? So ten years go by. I’d written this thing two years before and I looked at the contest and I said, “What do I have to enter?”, because every year I look to enter that contest, no matter what. I remember going through the plays and going, “I know I showed this to people, and they didn’t really care for it, but I really liked it. And it’s only two characters”. So that was it. I submitted it purely on the fact that it was two characters. I’d never realized what was there completely, and also, in the span of that two years since I wrote it, things have happened in the world that change how you viewed it. What it was, was the controversy over the bathroom laws in the States, with transgender bathroom laws. That all changed. That had happened all in two years. Definitely the level of protest against police brutality had changed a lot in those two years. We don’t think it did, but it really accelerated to a degree that made me see these two characters living in that world, like 50 years before that. So that’s what it was. It’s amazing how sometimes a play can just take on a different feeling well after you’ve written it. I think that’s the great thing about plays. They have to exist in the time period that they’re being produced. The play takes place in a time and country that’s not your own and deals with really complicated politics and civil rights issues. How much research went into representing that accurately? I love writing history plays. I’m very, very much based on the fact that it has to make sense in accordance to history. But I’m also open to the fact that ideas are still dramatic. Ultimately, this play is fiction, because I’ll never know if these characters met in a washroom. I have an idea that they probably met at some point during a visit to the White House, but that’s not necessarily true either. What’s real about the play for me was the fact that everything else, what happened to them, is all real. Everything that’s happening to them, their experience, it’s all there, it’s all real. I always made sure I did a lot of research to make sure that the characters are represented well. Because I knew being a writer who’s white, writing a black character who is a civil rights leader- an icon to some degree, who sort of got lost in history- I knew that if I were to write this play, I could be challenged at any second on this play, and I knew that going into it. So it became even more apparent over the last year, as well. I knew that I had to back it up, and I had to see it how this character would. It’s not that you have to actually like the character, you have to be respectful of who he was as a person. That’s how I looked at it. So there’s a lot of research involved in making sure that all maps out properly. I remember at one point during the change from the Fringe to the Theatre Centre- there was a line that I had approved to be added, and I actually went back to say, “Hey, can we take that line out?” And they’re like, “Why?”, “Because that really never happened”. I went back and researched that line, and I’m like “That doesn’t work out.” It was fine. It was a really great collaboration process that way. Did you have any interesting blowback, or any interesting reactions in general from the audience? I had a few interesting ones. Not a lot of big blowback. It’s so interesting, for more of a heterosexual audience watching that. I had never been going, “Why are they meeting there?” I had to explain, “Well, you have to remember, it’s completely illegal at this point in time.” On top of it, you can be arrested, you can be institutionalized, everything. I had to explain that to people, because they hadn’t really thought about that, because of now how far civil rights have moved. These characters could never really have met in any other place but that place. Blowback-wise, I didn’t really have a lot. I had a few people who questioned whether someone like me should be writing that character, and I answered to the best of my ability. I said, “I did an amazing amount of research to make this work. I really looked at how he was being represented. I looked at what his role in the play was. I tried to look for things that didn’t sound stereotypical.” I really looked hard at my play to go, “Did I – no, okay. No, I can’t do that. No, I can do that, I can do that”. But I had someone ask me that question, and I explained myself the best that I could explain. Then my director just followed me up with, “Let’s go with this thought”. And her being a young black female going “I would never pick this play to win the contest, and I would never have offered to direct the play if I thought this could be misrepresentation of any kind.” For any blowback I would have had, I had so much support for the play itself. What about positive feedback that you heard? The theatre scene in Toronto is so fascinating. It’s growing, and it’s getting better about representation on stage, but it still feels like a slow progress sometimes, when you’re watching a lot of plays, and every protagonist is white. Here’s a guy who is obviously in control of everything going on in this scene, and they get to see themselves in a stronger character role like that. He’s also a sexual character, which is nice; [laughs] that’s a hard thing to find sometimes, too. So I got a lot of great feedback from a lot of younger actors who are like, “Oh my God, there’s a part there I could play”. I don’t know. I do a lot of research into stuff, so I try my best to find those experiences. I’ve always been fascinated by gay experience before Stonewall. I’ve always been fascinated by that. Because I think once you get Stonewall, there’s so many things that happened. But before that, it’s interesting to see those lives, and see what happened to those lives, and see where they disappear. I love trying to find people who’ve disappeared, and then make them somewhat come back to life again. I love that. Tell us a little bit about the casting process, and how Kwaku Okyere and Conor Ling might have altered how you originally envisioned the characters. That’s fascinating. Because in real life, those characters should be in their 40’s when they first meet. [laughs] But Tanisha really, really convinced me, and it worked in the best way it could have. She said, “It doesn’t matter how old the actors are, as long as they are somewhat close to each other in age. They’ll bring out the feelings that you need to bring out”. So both of them were way younger than the characters would be in real life. But again, it was one of those kismet things again when we met them because we did two days of auditions, and the second last person of the day was Conor. We got to the end of the second day, and she looked at me and said “Nope, that’s it. I know who it is.” I’m like, “Okay”. And that’s how it happened. It was really quite interesting. They were right next to each other, and they knew it too. That’s the weird thing. They knew there was some really wild chemistry between the two of them. When they came, we actually did a second audition, because we had one gentleman that did a monologue that was really bad [laughs] but his interpretation was really good. He did the scene better than he did his own monologue, which I thought was really fascinating. So we’re like “Did we miss something?” So we did a second round. We did him and Kwaku. Kwaku at that point already knew he got the part. But then I remember that when Conor walked in the room, it was like Kwaku [gasps] he got so excited, and we saw, and then we did the first ten pages, and they figured out exactly what’s happening. It was just instant chemistry again. We couldn’t have asked for two better people to play those parts. The work they did together to come and make those two parts happen was just incredible. Incredible. Were you in the rehearsal room throughout the process? It’s amazing, that collaboration process. I feel like I laid the blueprint down, and she built a building. That’s what it felt like. You can’t do one without the other, but it was such a great collaboration between the two of us. I remember talking to her later during the Fringe. She had talked about some experiences where it wasn’t that way, and she said “No, Steven. You gave me the greatest place to play. And you’re so supportive all the way along.” I was able to say “Yeah, I don’t know about this.” And she’d say “Okay, that’s cool.” That was the process, but most times, I saw what she saw, and I saw the vision she’d put forward. And it was amazing. Yeah, there was a neat moment. My favourite moment in the play. It’s something that [Tanisha] put in herself, and I loved it every time I watched it. It’s when they’re sitting on the bed, and they’ve just had this laugh. And Conor goes down, takes off Kwaku’s shoes, and then sits back on the bed really fast. I just love that. Every time I watch that, I just get giggles. I giggle at my own play all the time, but that was a great moment. I also really love the moment when Conor’s doing the monologue about getting caught in the washroom the first time, and getting caught by the police. I’m usually not that person. I don’t really like writing monologues, and I realized I captured an experience there. And just seeing him do it every night – I’d just watch him, and feel the heartbreak. The eagerness to get there, but then the complete fallout of when it falls apart. I remember that monologue especially was very powerful for me. It wasn’t very long in between the two productions but what were some of the ways that the show evolved going into the remount at the Theatre Centre? That’s really fascinating, because we were not expecting that. We knew that we wanted to remount it again. We had no question we wanted to do it again, but we got called three weeks after the Fringe for Theatre Centre, and I’m like, “I’m thinking, I’ve got months to do some writes”, and I had a week. [laughs] I did all the rewrites for the Theatre Centre in a week. I remember when I was writing it, I was very conscious of keeping the two characters very equal in time. Walter doesn’t say very much, sometimes, but then he has the monologue, and Bayard says lots, but doesn’t give himself as much as he could. Because Bayard’s story is just so much larger than Walter’s in real life. It’s crazy, it’s 80% Bayard and 20% Walter. But there were things I remember seeing during the original production and going “Man, I wish I’d written that. I wish I’d said that. I really wanna talk about that.” So in that week, I managed to piece all of those together, and one was translating Bayard’s experience at being caught by the police, and how different it was. Because it was so similar and so different in so many ways. You look at these two characters- Walter went to jail for a few hours, and Bayard went to jail for two months, for the exact same thing. And we look at today, we look at charges that are brought against people who are white and people who are black, and we see that difference. It was so obvious then. Now it’s almost redundant, no matter how many times you hear it. So that was one thing I wanted to change. We had some response that they wished we’d talked more about Martin Luther King, and what that relationship was, because I didn’t really talk a lot about it, because I didn’t want King overshadowing everything. But when we did the second run, we had a chance to do it. This was actually a fun experience. I’d done all these rewrites, and Tanisha, Kwaku and Conor came to my house, and we read the new parts. Kwaku was so overjoyed. He was like, “Oh my god, I get a monologue!” He was also scared too, because he’s like, “Oh my God, I have to memorize this big chunk.” He had huge big chunks in the second act. If you were to remount it again, do you think it’s really complete as it is, or is there more work that you think should be done? I think it’s done. It’s not that I wouldn’t want to go back to some degree, but it’s such a very condensed, very ‘in this moment’ type of play. I just don’t think I could elaborate any more on Walter’s story. Bayard’s, I probably could, but then again, it’d be well overwhelming the other part. And when I wrote the play, I really wanted it to be about connection, and about the connection with these two men. But on multiple levels. I think that if I were to write more, I think I might lose that. I might lose the immediacy of the play that happens, because it has to take place so fast. These encounters that men would have were not meant to be relationship-building experiences in that time period. Yes, there are people who had long-term relationships, but for a lot of gay men in that period, they would never have had that. You conceived of it. Marriage is an idea for them. So if I would rewrite it or make it any longer, I think it would lose that condensed moment in time. What were you hoping audiences would take away from the play? It’s so weird, because I had no idea what was gonna happen with the play. I mean, I figured we’d probably get some good audiences. [laughs] It obviously went further than that. Above all, it was the idea of connection, and that as writers, we have to be presenting plays in the way the world looks. And how the world really is. And so this play kinda does that. I’ll say it was probably the first attempt I made at that, where it would’ve scared me ten years beforehand. But now, it was like, “Let’s take that chance and see what happens”. I think I just want them to connect, at some point, with some aspect of these two characters. To just feel what that pain would’ve been like, to live in that moment in time and everything. And the impossible nature of what these two men are going through. Being gay myself, I’m very fortunate in the world I’ve come into. It’s a lot easier than the one that was before me. And it’s changed so quickly over time that the problem with those changes is that sometimes we forget what those times were like. That’s another thing I liked about the play. It takes you back [to] that time without making you feel like you’re so remote and far away from it. So with a lot of gay men I know, you can mention things about history and they won’t understand a thing you’re talking about. And something like this brings it out. When I was coming out, I read books from all eras. I was watching movies [from] all eras because I wanted to learn all about the experience. What was this, and what did it mean at certain times? We don’t get that now. That’s one thing I’d like people to take away from this play. The experiences from one time that they may not have known anything about before. What are you doing now, or what’s your next project? I actually did a really controversial play reading recently, on Leni Riefenstahl. Leni Riefenstahl is probably the most famous female filmmaker of the 20th century. But there’s the problem of Leni Riefenstahl, which is that she made three movies for Hitler. So a little problematic character. She’s one of those. It’s a play I wanted to work on for a while. What happened was that I stalled on it. I got four pages in and I didn’t know what I wanted to do. And then I happened to see a show with an actress in it, and I was like, “Oh my God, you’re Leni.” Then I went off, and literally wrote it almost in the same timeframe I wrote Seat. It just came out. It’s a two-woman piece. It’s one I’ve wanted to work on writing multiple parts for women. Seat was obviously not that play. [laughs] Two male parts. But writing for characters who are just not me, and learning that experience- this one is called A Question of Character. I’m talking with one theatre about maybe doing it in June. Just a small theatre, because it’s a very intimate play – another two-character play. But it deals with exactly who is this woman, and can we for certain see this woman by these three movies she made, or should we be looking at her entire life and say, “Maybe there’s more to her than these three movies, and how involved was she in that experience of working in Hitler’s Germany?” And also understanding her world, and what she would have had to do to survive, too, being a female filmmaker. I make a joke during the play- it’s set in the mid-70’s and it’s about an interview that happens with a film magazine that turns into a much more personal meaning, in a life and death manner, too- but at one point the other one says, “With women’s liberation, there’ll be a lot more women directors,” and Leni goes, “Yes, maybe two. No, three.” And if you look back, you realize that’s probably true [laughs], which is quite sad. And if you reflect now on the fact that the last woman who won Best Director at Cannes was forty years ago, and [this is] the first one in forty years – that seems insane to me. And here’s this woman who made a bad choice, but she was such a brilliant filmmaker. For someone who’s Jewish, it’d be ridiculously hard to watch these films and know where it’s coming from. But from a filmmaking perspective, and knowing what she was doing and how she would influence history, it’s incredible. Her film just got put into a Criterion Olympics Collection- she did a movie on the 1936 Olympics, and it’s beautiful. And that’s what I’m working on, mostly, next. I’m always working on stuff. I’d love to do a musical based on the music of Lisa Loeb [laughs] I would love to do that at some point. It’s a full-length musical using 26 of her songs. People don’t even realize she has 26 songs. They only think she has 2. And then I’m working on another musical, a WWII-era musical with a friend that should be a lot of fun. It’s a sports-related story and stuff. That’s not me at all, because I don’t really like watching sports, but it’s another history piece. It’s about seeing this world through a different set of eyes, and looking back and seeing what survival and what struggle these characters had to get through to do what they did. So that should be a lot of fun. Seat is being published in the spring, which is great. I was floored by that whole experience. Apparently I had one of the best manuscripts to hand in, because apparently I cleaned it up really well. But the whole process- Tanisha, Kwaku, Conor, Tara [Mohan], our stage manager (stage managers don’t get enough credit for anything, because she was incredible) and Brandon [Goncalves], who did our lighting. That whole team was just so incredible to work with, and they made this experience happen. I just thank everything I was able to find these people to have in this production, and none of us really knew each other before extremely well, but we all just came together to bring this piece together. It was such a humbling experience. All of us were just [taking] it in. I think it’s one of those moments I will never forget, because most times you finish a night of a show, it’s like this raucous thing. And we knew something had changed. Something had come out differently than we thought was gonna happen. And it was beautiful, and wonderful. We were so confused by the time. But I can’t imagine any people I want to share that with [other] than those people, because we all felt it all at the same time. It just told how much we came together to make that thing happen, that we all felt almost exactly the same way in that moment. No one else was feeling that. It was so loud around us, and we were so quiet. I think we just took it in. It was one of the most beautiful experiences I’ve ever had.